Home » shopping » CONTEST: Join me to Milan Fashion Week! Has it always been your dream to go to Milan Fashion Week? I’m so exited to have teamed up with STYLIGHT and Roberto Cavalli to take one lucky reader with me to Milan!! Flight, accommodation at the Maison Moschino hotel, Roberto Cavalli Fashion show and beautiful Milan are (of course) included! We will leave for Milan Fashion Week Friday the 20th and fly back the 21st of September and stay at the gorgeous Maison Moschino Hotel! I’m soooooo excited!! This contest closes Sunday the 15th of September! a few more days to go! 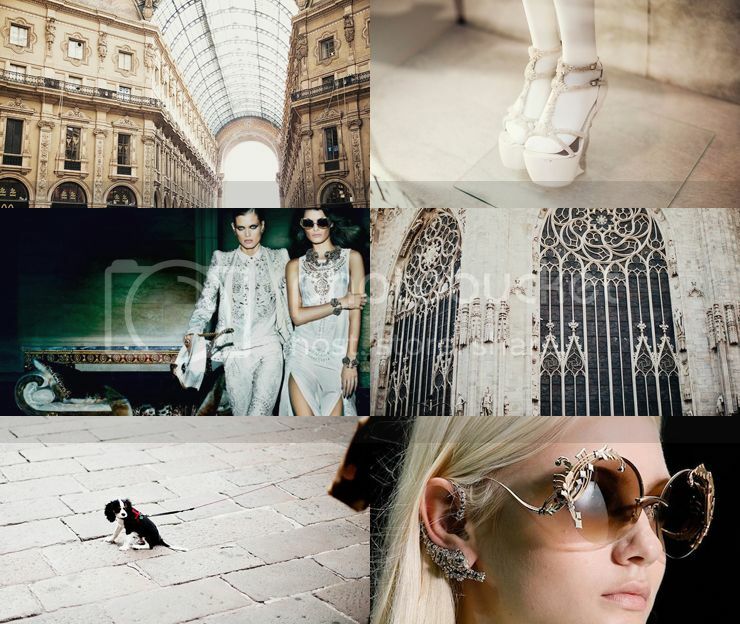 55 Comments on CONTEST: Join me to Milan Fashion Week! Love the black and white outfit!!! Waaaauw, dit is echt als een droom! En ik heb ook een ‘milan look’ op stylight. My username is Kittenhood & I created a Milan look as well. Wat een ontzettend gave win-actie Chantal! Ik heb nog nooit naar MFW gekund omdat dit altijd tijdens een drukke periode op school viel, maar dit zou het eerste seizoen zijn dat de data mij wel uitkomen! Lijkt me fantastisch om dit eens mee te mogen maken! my username is doctorsara…thank you! I would love to go to Milan for fashion week. What a dream come true this would be. Wooow such an amazing opportunity ! Attending a fashion week would be an absolute dream for me! My stylight username is : fashionfixesheart and I’ll definetly think about a Milan fashion week outfit asap!! This is such an amazing giveaway! I liked your STYLIGHT profile and created my own “Milan” look. I would love to join you in this trip! Gabrielavictoria is my username. I really wish i could win. Are there any rules or restrictions? This is an amazing opportunity! Thank you for giving it to your readers, I’m sure it’s everyone’s dream to be a part of MFW (me included! 😉 ). This is just the biggest dream of mine! I have never been there and always dreamed to be in Milano at the fashionweek one day. Always looked at the runwaylooks in the magazines – since I was a little girl…. Oh girl! This is the coolest giveaway ever! I never been to Milan ever before! So this would be sooo awesome! Natuurlijk zou dat helemaal top zijn om dit samen met jou te beleven! Heel, heel gaaf! Zou zo gaaf zijn! It would be great if I won. my Stylight name is just marieke schreurs. Wow super super gave contest! Altijd al naar Milaan Fashion Week willen gaan <3 Ik doe natuurlijk mee! Ik volg je op STYLIGHT (SarandaAdriana) en heb een board gemaakt! Can’t say no! Ik ga ook gelijk een outfit bedenken. It will be an amaaaazing time! I follow you on Stylight already. Hop to join you to Milan! This is what I would wear, if I could go with you. When I think about Milan I can see only gold things from baroque age. Woops just realized I wrote wrong my username! it’s fashionfixeshearts !